Access and quality for all. 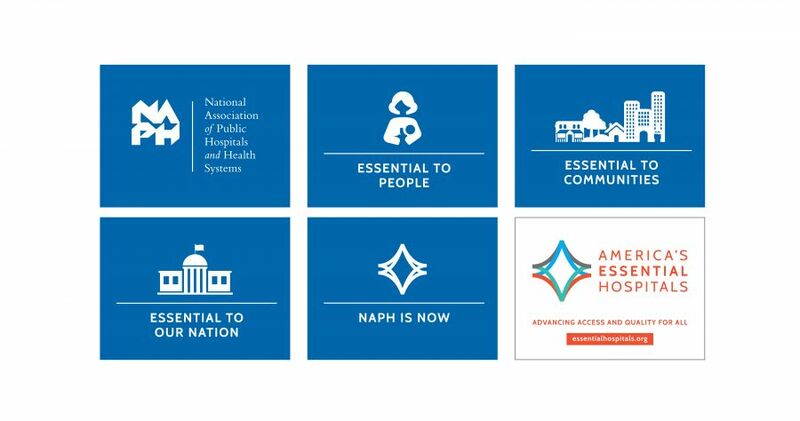 After several years of working with the National Association of Public Hospitals and Health Systems on strategic messaging and advocacy advertising in Washington, D.C., they invited us to help them rebrand. More than 200 member hospitals across the nation share a commitment to ensuring access to the highest quality care for all. 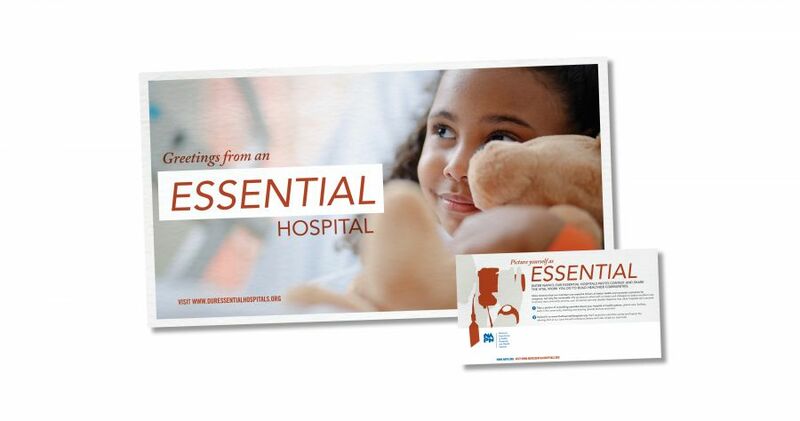 They launched their new brand in June of 2013, becoming America’s Essential Hospitals. 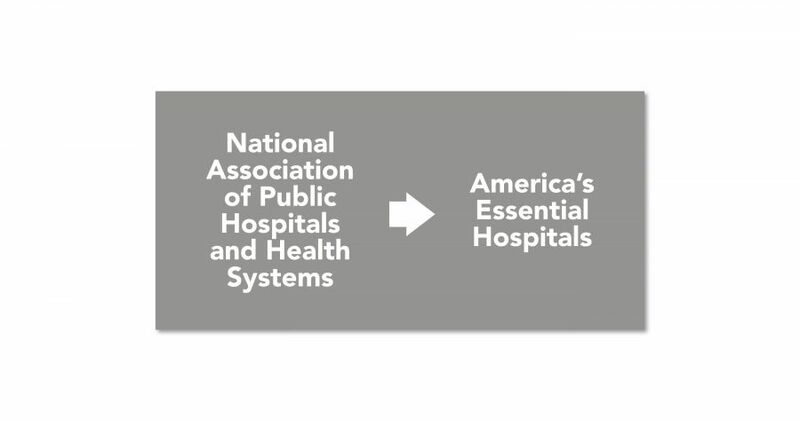 The name National Association of Public Hospitals and Health Systems no longer worked for this membership organization. They always had a strong community of members with a legacy of caring for the most vulnerable—but the quality of their care and innovation in improving outcomes were often ignored or glossed over by policymakers and potential member hospitals. The association was actively growing and recruiting new members among nonprofit and university hospitals; diversifying funding; partnering in major research efforts to improve patient and cost outcomes; and leading the field in the new policy, regulatory and funding marketplaces precipitated by the Affordable Care Act. At the same time, member hospitals were competing for patients and professionals in their local communities. Over the course of a year, we completed member and stakeholder research, participated in their strategic planning and worked closely with their board of directors, CEO and executive leaders to develop a new name, brand and message framework. Three clear elements of their brand emerged. 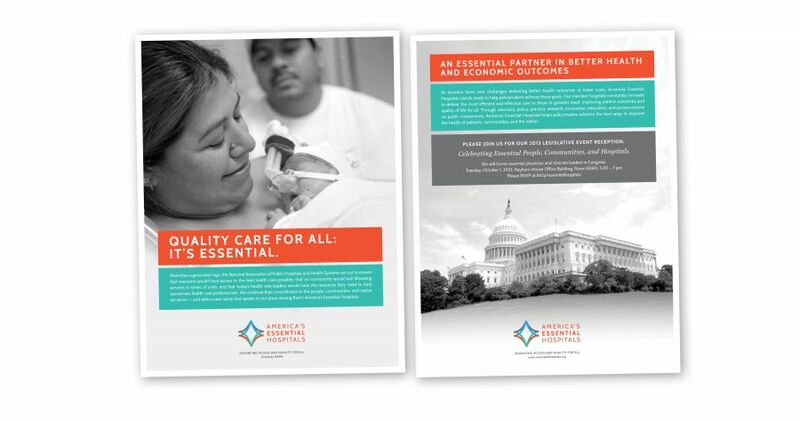 First, even though their members were hospitals, the association was a trusted voice for the well being of vulnerable populations—not the financial bottom line of their member institutions. Second, the members shared a strong sense of community with one another in their zeal for providing essential services in the most challenging of circumstances. Third, they took great pride in the quality of their care, research, teaching and training for people from all walks of life. The solution—America’s Essential Hospitals—was a new name and brand that differentiated them from for-profit hospitals by emphasizing their commitment to both access and quality across the complete spectrum of patients—wealthy or poor, insured or not. America’s Essential Hospitals continues to grow—adding members, improving clinical practices, developing future leaders, expanding the breadth and depth of research and analysis, and sharing its expertise with policymakers and regulators seeking efficient and high-quality care. All this while keeping their roots in the communities they serve and ensuring that success is measured by the real health outcomes of real people across the nation.